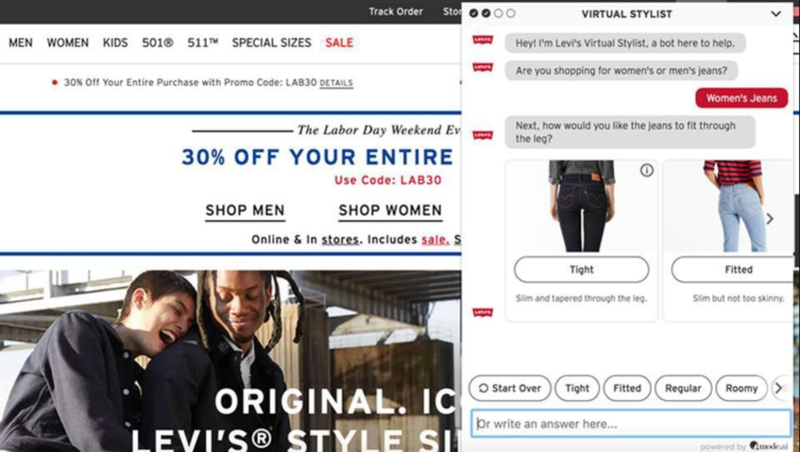 Levi's Virtual Stylist helps find a great pair of jeans for customers. Provides customers with information about sizing charts. Uses TrueFit technology to determine desired sizing and style for customers. Asks questions about shopper preferences.